David counsels clients in a variety of commercial real estate transactions, including the development, acquisition, financing, leasing and sale of commercial property. He has extensive experience related to the sale of real property by fiduciaries of estates, guardianships, trusts and receiverships. He has worked with title companies on a wide range of curative matters related to title insurance. David has also served as counsel on commercial transactions involving distressed businesses, stock and asset sale agreements, buyout agreements, business formation and organizational documents and due diligence. 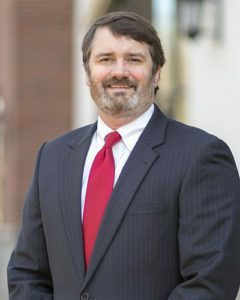 Prior to joining Longleaf Law Partners (formerly Morris, Russell, Eagle & Worley, PLLC), David practiced in North Carolina for more than five years with a focus on real property, business and estate law. He has previously worked in the U.S House of Representatives, the White House and Yale Law School. David enjoys having the opportunity to steer clients through transactions with many moving parts and getting deals completed despite the inevitable challenges and problems that almost always arise. In his personal time, he has served as an elder at Church of the Good Shepherd in Durham, N.C., and volunteered with Justice Matters, Inc., a Durham-based nonprofit providing legal services to our vulnerable and marginalized neighbors. Serve as general counsel to a Chapel Hill, NC-based private real estate investment company active in the syndication, acquisition, financing and sale of multi-family projects in North Carolina and Virginia. Lead North Carolina counsel to regional homebuilder on acquisitions of unimproved land for planned communities involving single-family detached homes, townhomes and condominiums. Lead counsel for a court-appointed receiver in the possession, auction and sale of approximately 60 distressed properties in less than 90 days. Extensive experience as seller and buyer counsel for large assemblages of land involving multiple owners, large numbers of purchase contracts between unrelated sellers, and complex development agreements. Lead counsel to owners and developers on drafting and structure of declarations of covenants, conditions and restrictions and property owner associations for residential, commercial and mixed-use developments, including developments under the N.C. Planned Community Act and N.C. Condominium Act. Borrower’s counsel for numerous churches related to the acquisition, financing and refinancing of church-owned property. Lead counsel to trustee on the management, leasing, sale and finance of real estate portfolio held by multiple trusts.